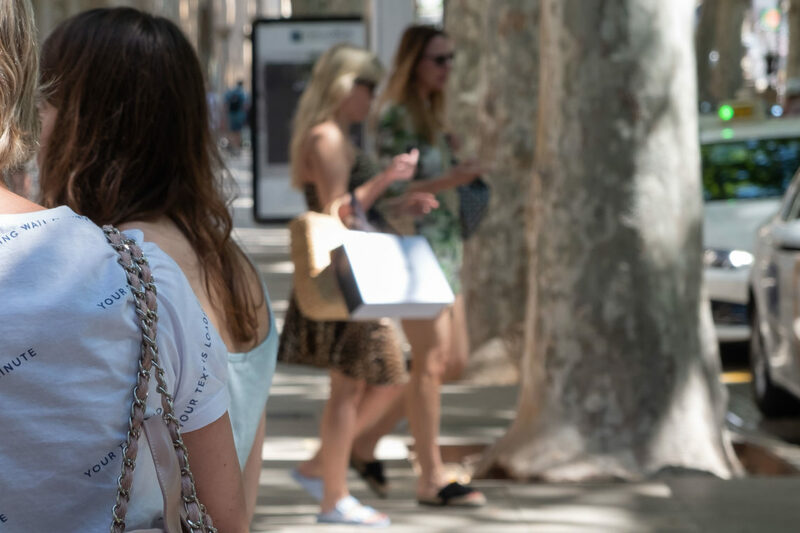 Passeig del Born is one of the most splendid streets in Palma. Shaded by tall Sycomore trees you walk along the storefronts of noble old manors housing major fashion brands. Only a few steps away from mainstreet brands creative designers from Mallorca and the peninsula present their own unmistakable style. Let me introduce them to you. 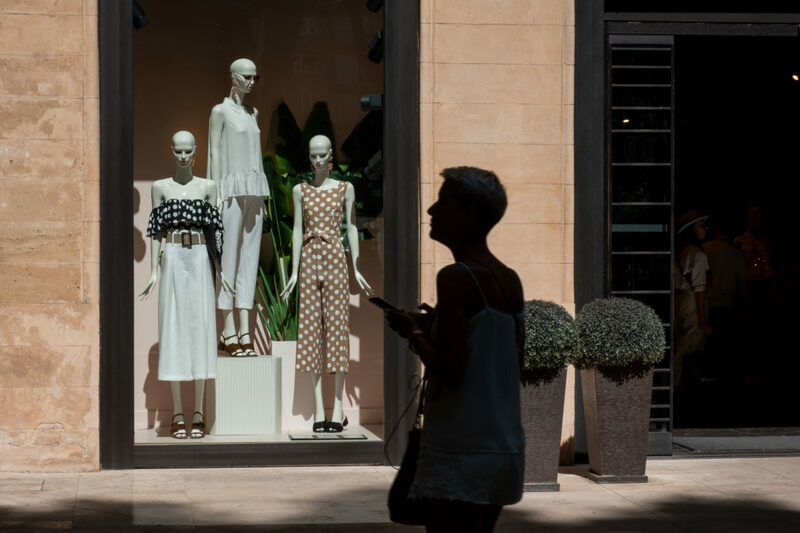 These are my personal Top 5 clothing stores for women in Palma. 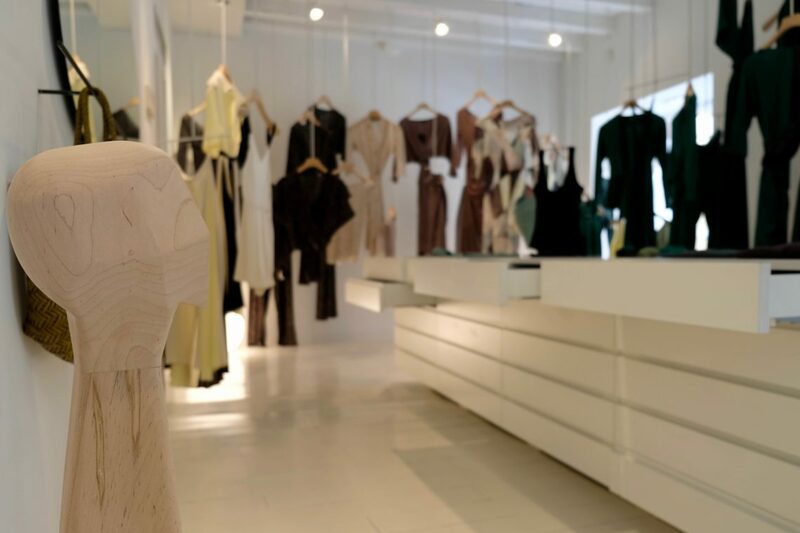 Stores that feature a fine selection of contemporary urban chic beyond the fast fashion industry. 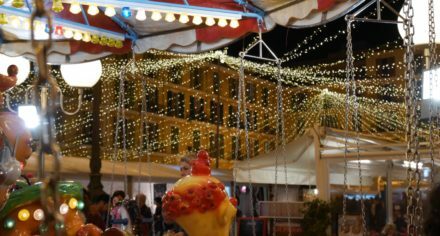 Places where you find this season’s it-piece only to discover that it has turned into a timeless classic the following year. Like the black jumpsuit from Suite 13 I bought almost three years ago. At a time before monos became really popular. I love Suite 13 for its casual yet smart styles and for their great quality. 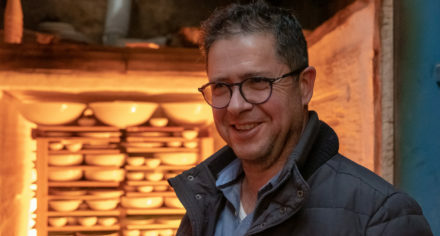 Designed in Palma by Maria Trepat and Alexia Izu all clothes are made in Spain under fair working conditions from natural, certified organic materials. 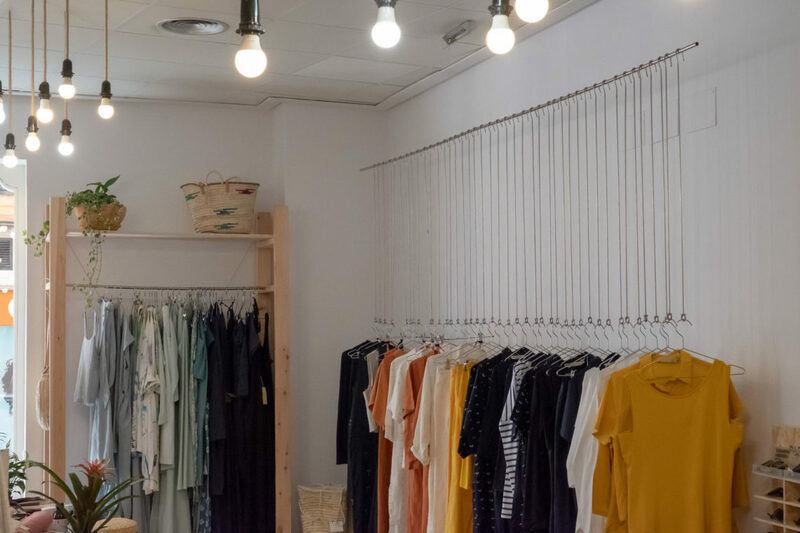 The Suite 13 store next to Plaça Major also offers selected items from other popular eco-labels such as Thinking MU, Armedangels or People Tree. At Masscob it’s all warm colors, soft fabrics and relaxed cuts. The label from La Coruña focusses on femine designs and quality craftsmenship. Fabulously presented in their minimalist new store in Palma. I fancy the way you can combine Masscob’s outfits for different styles. Whether in the office, at a business lunch or an after-work meeting with your best friends, you are always perfectly dressed. The most sophisticated label for womenswear in Palma is probably Cortana. Founded in 2001, Mallorcan designer Rosa Esteva’s fashion today graces red carpets of movie theaters and royal palaces. Her precious collections are made of finest linen, silk, wool and net lace. The clear cuts, flowing materials, selected colors and patterns resemble small pieces of art. Timeless as they are you can wear Cortana maybe not every day but surely forever. 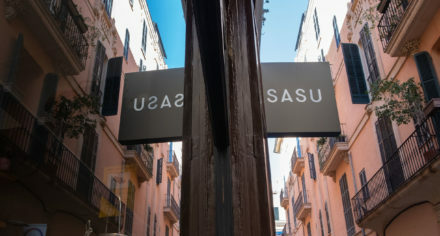 In addition to the monobrand stores there are also a few exciting boutiques in Palma. Every once in a while I drop in just to browse through their carefully selected brands. One of them is Paula’s Room. 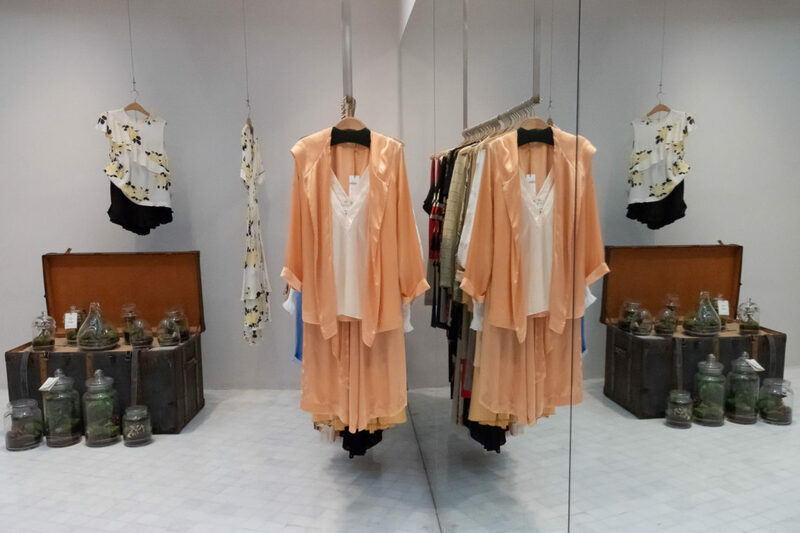 Antonia Julià Rosselló is a great trend scout and she loves to introduce young European brands in her beautiful store. Next to Anine Bing, Ganni, Samsoe & Samsoe or Levi’s Made & Crafted you may find recent pieces from Spanish label TFP by Tamara Falco, Rough Studios from the Netherlands, or Rabens Saloner from Denmark. 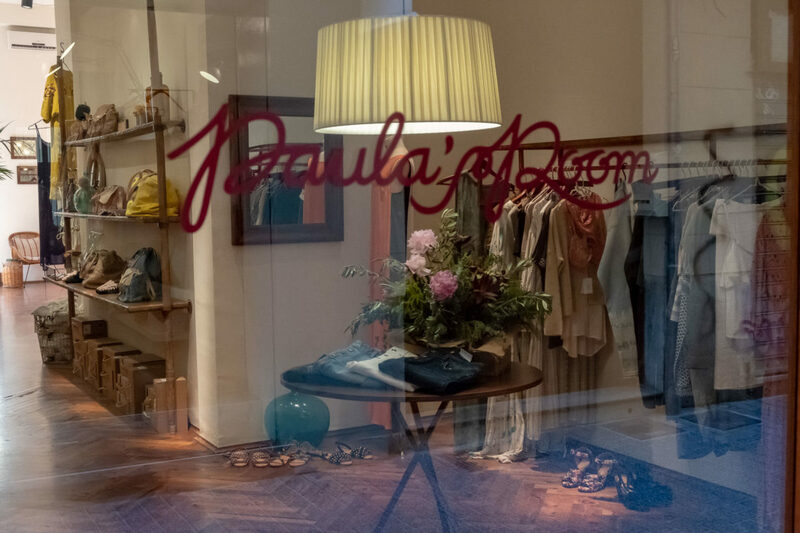 There is also a small selection of beautiful accessories like bags, shoes and jewelry at Paula’s Room. 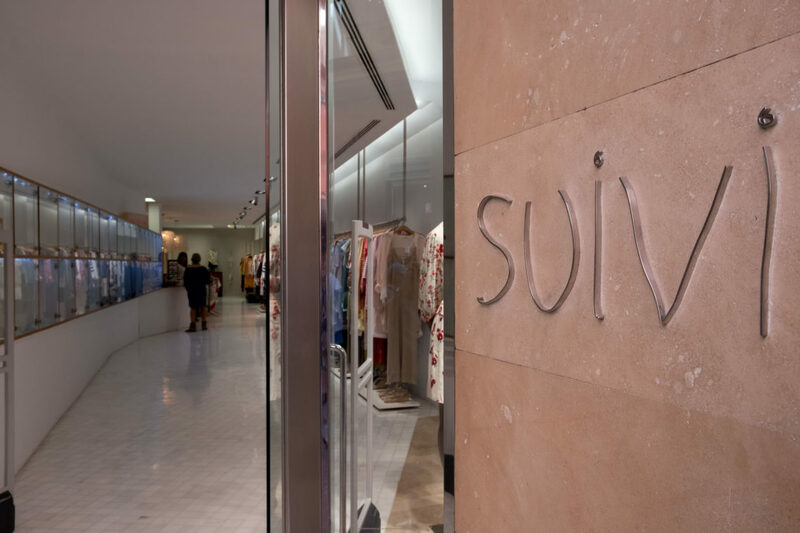 Another boutique that has been at the heart of Palma’s fashion scene for many years is Suivi. I always marvel at the long white space with a strict array of display cases on one side and a rail of clothes that run the full lenght of the shop on the other. Holding a choice of excellent womenswear and accessories from well-known brands such as Isabel Marant, The Kooples, Filippa K, Vanessa Bruno, or IRO. 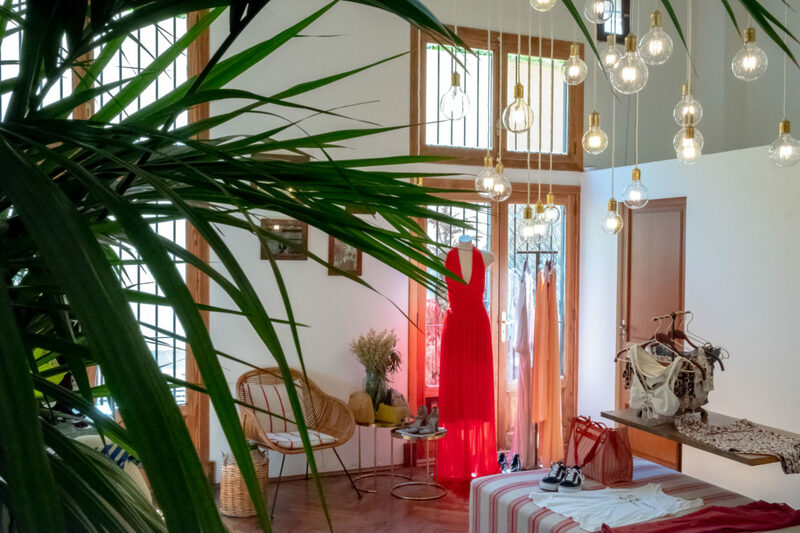 Like Paula’s Room, Suivi is one of the few places in Palma that offer La Morenita, the delicate jewelry from Mallorcan designer Alma López. Apart from the collections their presentation and the store design have become a key issue for fashion stores. Sometimes I simply enter a place because it appeals to me. 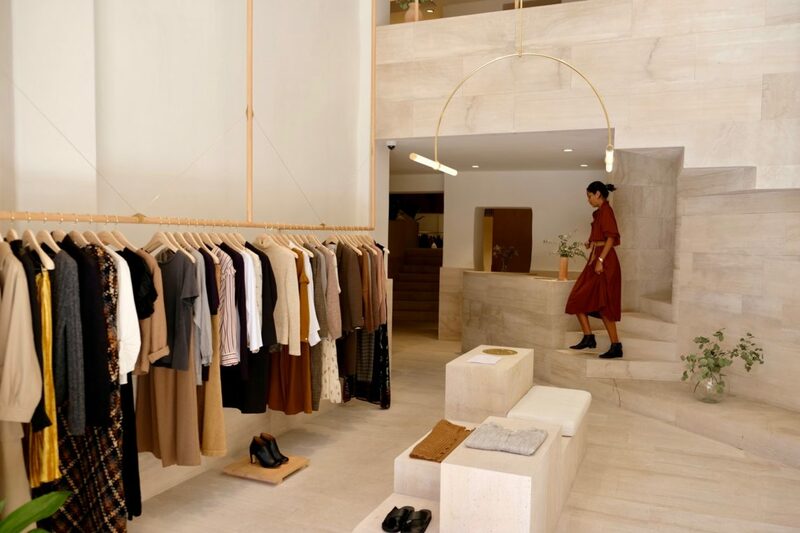 Like the former cinemas that accomodate Rialto Living and Zara, or the stunning palace on Carrer Sant Feliu where Massimo Dutti presents its womenswear, today.